what we eat is a direct product of what it eats as well and in the case of vegetables, that's the earth they are grown in. Therefore, by the transitive property of farming equality, we are a product of the soil as well. Making sure plants are getting the right nutrient balance in the soil is a key component to growing anything. All dirt is not created equal and each plot of land will have a very different chemical makeup, so many farms perform soil tests to determine exactly what is in their soil. 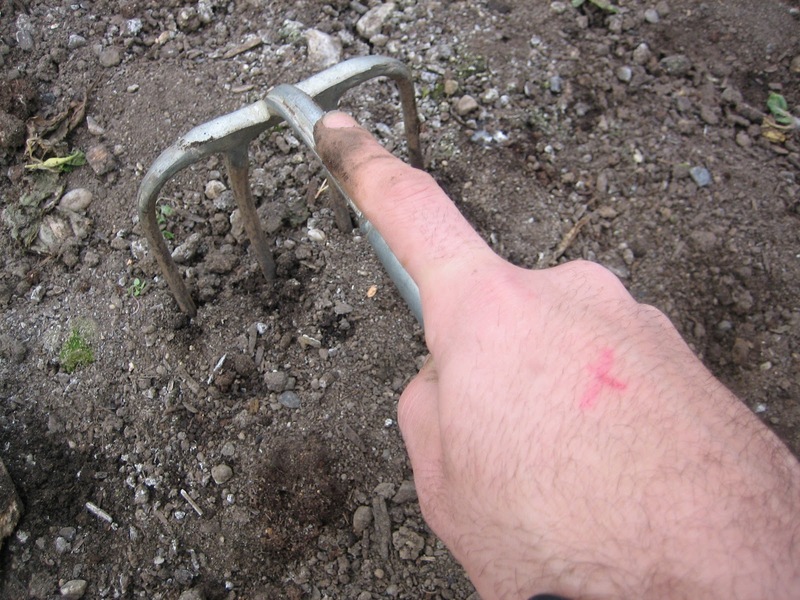 This can help determine what will be best grown or what is needed to improve this particular plot of land for growing. If it turns out the soil you are working with is not supportive of the plants you want to grow, you can make some changes to help by adding in essential nutrients and minerals to create the proper growing environment. While amending beds in the greenhouse, I was surprised to find out that compost was not being used for this rotation. I thought it was always good to add compost after a cycle of harvesting is complete since the plants and their roots are lifted, along with many nutrients, out of the soil. Just like in a home, once you drink all the juice and eat all of the food from the fridge, it's time to restock. The soil is like the plant's fridge and after many rotations, it's time to replace what was taken out. Although this is true, sometimes different inputs are needed and you want to make sure there is a balance. Just like grocery shopping, sometimes you have plenty of orange juice and mustard, but nothing else. I don't know about you, but mustard and orange juice alone just don't cut it for me more than a few meals a week. Depending on what types of plants were grown, different nutrients were removed from the soil during the harvesting and pulling. This is why it is generally good to rotate vegetables that use a lot of nutrients, "heavy feeders," with vegetables that don't use a lot of nutrients, "light feeders." This way the heavy feeders have enough nutrients to grow strong and aren't interfering with other heavy feeder's nutrient needs. Examples of heavy feeders are broccoli, cabbage and squash and some examples of light feeders are potatoes, carrots and microgreens. Although these rotations are an important part of the efficiency of crop rotation, as with all things in life, this nutrient extraction must come to an end and eventually, new nutrients and minerals will be needed for high yields and high quality production. On this day, it had been determined that there was enough compost being cycled through these beds, but some sulfur and kelp were a good addition on their own. Kelp adds essential vitamins, minerals and nutrients used to help start the growing process whereas the sulfur will help lower the pH level and help plant growth as well. A little broadfork action to aerate the bed and we were back in business. The little lentil looking things are the sulfur and the tan ground up sprinkles are the kelp. I think it's also valuable to remember that these rules apply to animals as well. Meat, poultry and seafood are also only as strong and nutritious as the food they are eating. In the US where the majority of livestock is being raised on industrial farms and being fed cheap commoditized grain, it may be worth noting that this type of meat is not as nutritious (or tasty in my opinion) as we may think. I've noticed, since learning these basic principles, that I have become more aware of what I eat. I believe it's valuable to understand what we are putting into our bodies and I am not saying anyone should or shouldn't eat anything, but once you dig in to the details it can be hard to turn back, details are a gateway drug. I'd like to inject some details into my veins. CNN reported that low levels of radiation were found in milk produced on the westcoast. It's good to note that the milk itself doesn't absorb the radiation, it actually comes from the radiation falling on grass, the cows eating the grass and the cows producing the milk.